A native of Bloomington, Tim graduated from Central Catholic High School in 1972 and attended Parkland Junior College in Champaign. 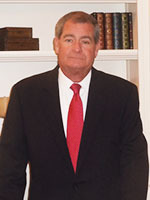 He graduated from Worsham College in 1977 and joined his father in the funeral business. Tim was a lifelong member of Holy Trinity Catholic Church and a member of Fr. John D. Ring Knights of Columbus Council #574, where he was a 4th Degree Knight. Tim is survived by his wife Mary Jo and their five children, David (Megan) Flynn, Katherine (Greg) Mertens, Michael Flynn, Erin Flynn and James Flynn and four grandchildren. Alex and his wife Sue have been married for over thirty years and have four children. One daughter is a student at Central Catholic High School and their youngest daughter is a student at Corpus Christi Catholic School. His oldest daughter and son are graduates of Central Catholic High School. Their family are members of Holy Trinity parish. Alex is a graduate of Illinois Wesleyan University and Mid-America College of Funeral Service and is proud to be working with the Flynn family. “I’ve always been honored that Tim and Mary Jo Flynn chose our family to assist in their transition.” Both the Flynn and Calvert families work closely to serve those who call upon Carmody-Flynn. Born and raised in Galesburg, Illinois, Steve and his wife Joy (also from Galesburg) and their two sons, Nick and Joey and their golden retriever Wrigley, have called Bloomington-Normal their home for over 15 years. Says Steve, "My wife and I were born and raised in Central Illinois and knew we wanted to raise our family here. Work brought us to Bloomington-Normal and we could not have hand picked a better place to raise a family. We have grown to love this culturally diverse community." Steve's passion for sports is displayed through the coaching of his son's baseball teams and the many days cheering on their sporting events, including football, baseball, basketball, track and wrestling. 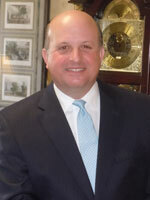 A 1994 graduate of Worsham College of Mortuary Science, Steve enjoys the diversity of the funeral business and the many different areas of expertise that are needed to be successful. The camaraderie among the people that he works with and the satisfaction of serving others in what can be a very difficult time is the driving force behind Steve's motivation and success in the funeral industry. A native of Rochelle, Illinois, Eric earned his A.A.S in Communications Technology from the Community College of the Air Force while serving as an intelligence analyst on active duty. He later earned his A.A.S in Mortuary Science at Carl Sandburg College prior to serving his internship at Watson Funeral Home in Galesburg. 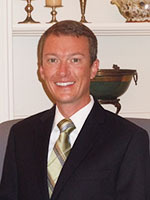 A funeral director with Carmody-Flynn Funeral Home since 2006, Eric especially loves the unique experiences that are associated with funeral service and the diversity in the industry and communities in which he serves. He loves Bloomington-Normal and its capacity to provide the amenities of a large community while maintaining a "hometown" feel. Says Eric, "I honestly cannot imagine working in another profession, and I feel fortunate to have found my niche at Carmody-Flynn." 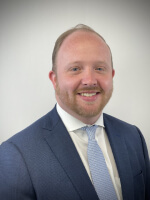 Aside from his love for the funeral industry, Eric is an avid reader and greatly enjoys spending time with family and friends. Jodell was born and raised in the small farming community of Mendota, Illinois and while attending Eureka College, she experienced life-changing events which directed her to Worsham College of Mortuary Science, where she earned her degree. 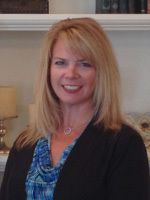 A licensed funeral director with 13 years experience, Jodell joined the Carmody-Flynn team in 2013. She admits that she finds gratification in assisting families and being of support to them during their time of loss. Besides being a fan of Bloomington-Normal and the heritage, diversity, and commercial growth that they boast, she astutely refers to the community as "proud, little-big towns" that are the perfect place to work, raise a family, and call home. Jodell and her two children immerse themselves in Bloomington-Normal's host of family offerings including softball, gymnastics, swimming, and other provided outdoor activities. Before Jodell was a busy mom and funeral director, she enjoyed racing BMX and practicing martial arts, where she received a black belt in Tae Kwon Do. Today, when free time allows, she seizes the opportunity to snuggle up with a good book or practice pencil drawing; but she readily admits that her children, and their adopted four-legged friends, are the true loves of her life. 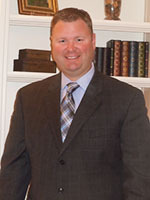 Evan is a fourth-generation funeral director. Evan is a graduate of Central Catholic High School and went on to Carthage College and Worsham College of Mortuary Science. He lives in Boomington and enjoys being a part of the community including being a member of St. Patrick's Catholica Church-Merna. Evan chose to be a funeral director simply because he feels the need to serve families with the kindness, care and compassion that only a family-operated funeral home can. When not working, he enjoys golf, fishing and spending time with family and his dogs, Sally and George. His dream job would be to play on the PGA tour with his Dad as his caddy. Shannon grew up in St. Peter, Minnesota and attended Mankato State University, where she met and married her first husband Kevin. Kevin and Shannon had four "beautiful" children (Nichole, Connor, Kennedy & Meghan) and left their home state for Bloomington, Illinois in 1998. 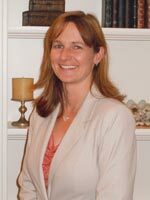 Sadly, Kevin passed away in 2004, and it was this tragic event and the loving support of the Carmody-Flynn Funeral Home staff that encouraged her career choice as an Advanced Planning Director for the very firm that supported her in her time of trial. As Shannon put it, "I love helping people and putting a smile on someone's face when they need it, especially since I have been in those shoes. I want to be someone's rock and get them through a difficult time." Today, Shannon is happily married to Dave Eakle and has added his four "beautiful" children (Mary, Christopher, Brian & Janie) to her expansive and loving family. Because "eight is not enough", Dave and Shannon have invited two more members into their home - Samson, a 120 lb. Bernese Mountain Dog and Louie, a 10 lb. Cockapoo. Dave and Shannon have watched all eight of their children attend Epiphany and Central Catholic High School and are proud supporters and passionate followers of both institutions. In fact, Shannon's love for these Catholic schools (and the communities that they are in) has motivated her to give back to the very individuals and organizations that have blessed her so richly in Bloomington-Normal. As Shannon stated, "This community has become a family to me." When Shannon is not watching or following one of her children's sporting events, she can be found cooking, reading, and spending time with her close friends. A photography enthusiast and a fan of both golf and tennis, Shannon readily admits that she would be traveling the world with her family if she weren't serving individuals and families as Advanced Planning Director at Carmody-Flynn Funeral Home. As a mother of three wonderful children (Sarah, Matt, John) and a strong supporter of all of their sporting events and school activities, Sue has a special affinity for Bloomington-Normal and the Catholic education atmosphere offered in these communities. When Sue is not spending time with her family or caring for her two black labs, Roxie and Cookie, she can be seen dining with friends, walking the Constitution Trail, and immersing herself in movies, reading, decorating, and traveling. 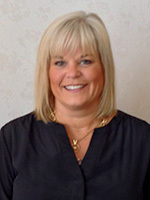 A graduate of Illinois State University and a lifelong resident of Bloomington, Illinois, Sue brought strong family ties and community involvement to Carmody-Flynn Funeral Home when she joined the staff in September of 2013. Her "love for the people she works with" and passion for helping and serving people in need is seen in all that Sue says and does.